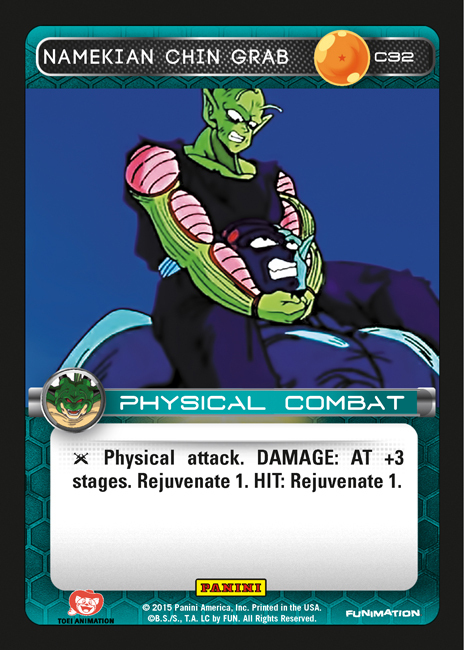 When Heroes and Villains releases in March, the amount of viable deck combinations will increase dramatically. 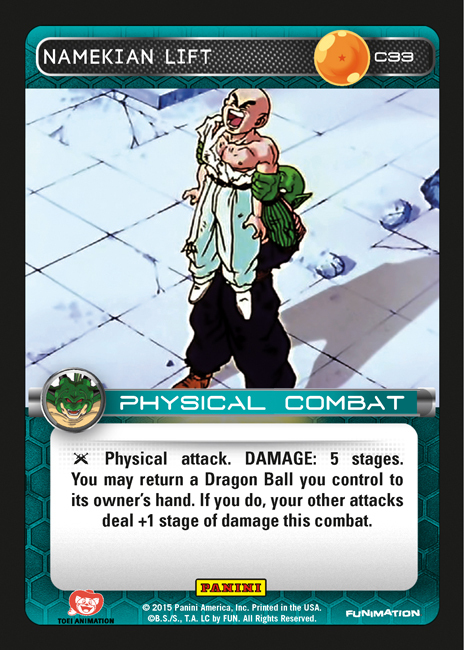 Some cards will create entirely new archetypes, while others will provide answers to existing builds. 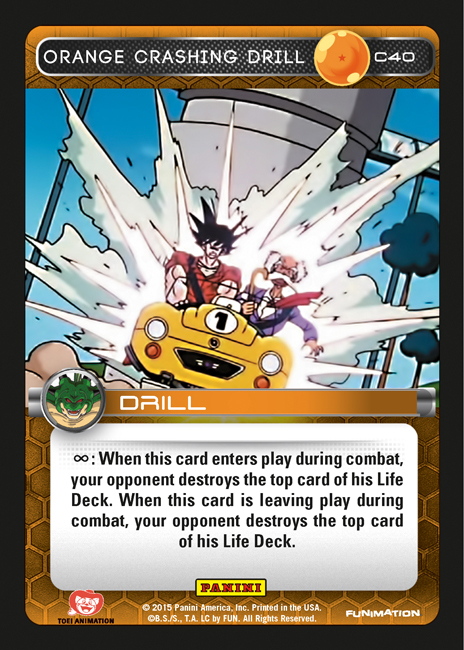 With Orange Crashing Drill, it can also be seen that many preexisting themes will be expanded upon. 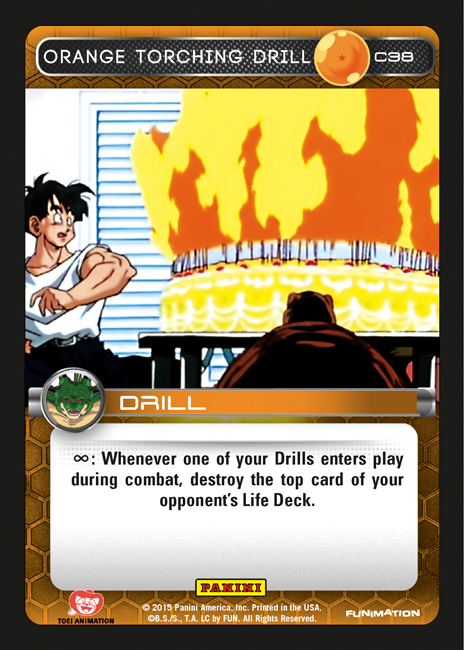 Consider pairing Orange Crashing Drill with Orange Destruction/Orange Torching Drill, and supplement that with some of the new cards that cycle your own drills. 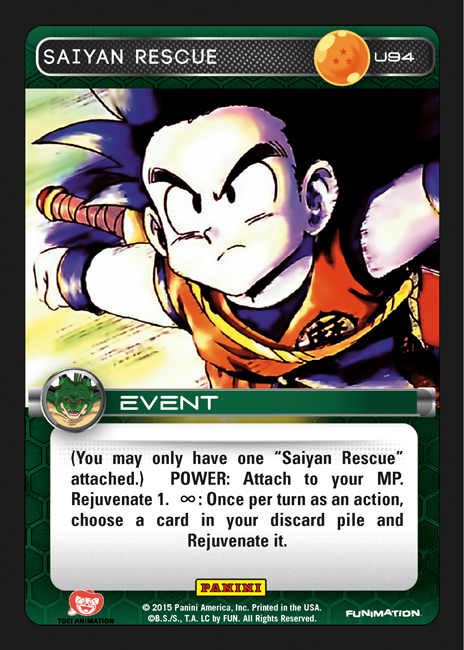 Please enjoy this preview along with nine other cards in the gallery, and look forward to rapidly approaching release! Ive played Orange since frieza chose me(pulled 3 frieza starters). 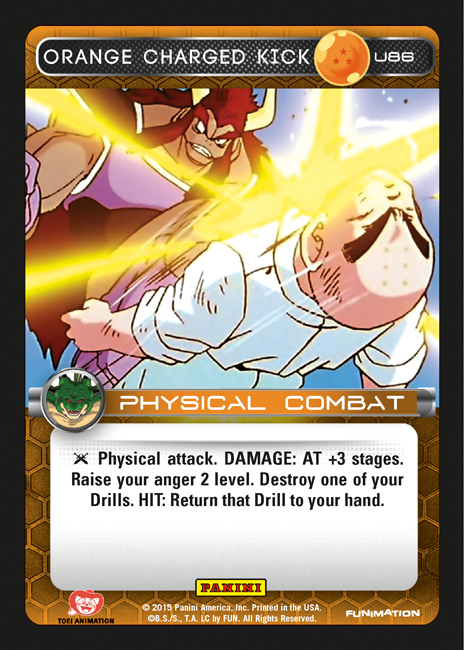 Orange in my opinion was the best for him since it had nice anger gains and devour drill. 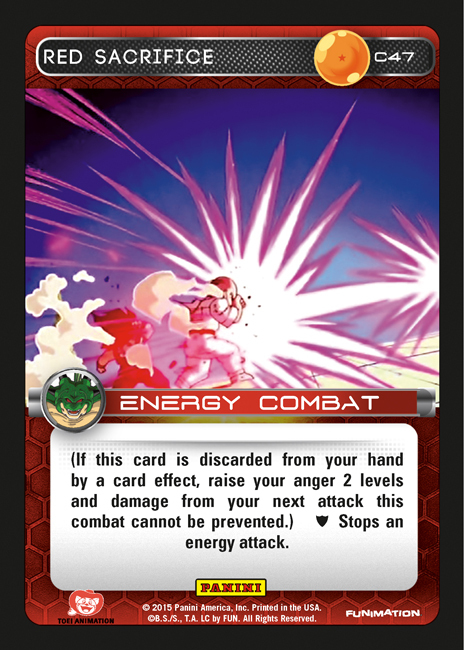 My deck has since transformed and is currently a destructive milling machine Based around Orange destruction. 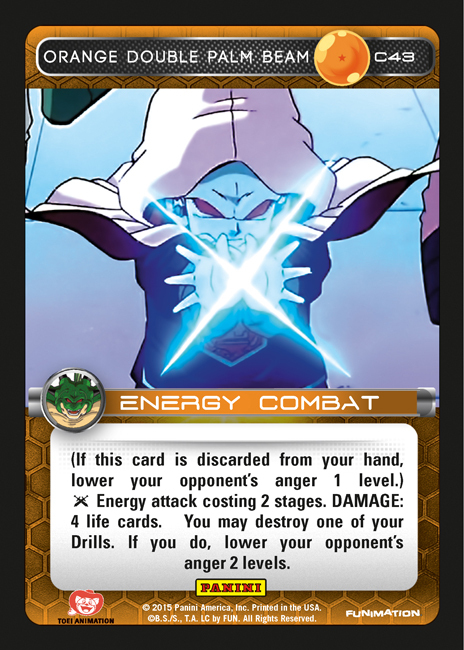 These new mechanics being my deck further to life and cannot wait to implement these new drills and watch my opponent cry cause he can’t prevent destroy effects. So i thank you! I am worried this will catch wind and it will turn meta. I love playing original decks. Nobody at my lgs or on octgn plays Orange milling that ive seen. Id hate to be apart of a meta and people thinking i just jumped on the bandwagon when i was already there! Ps. 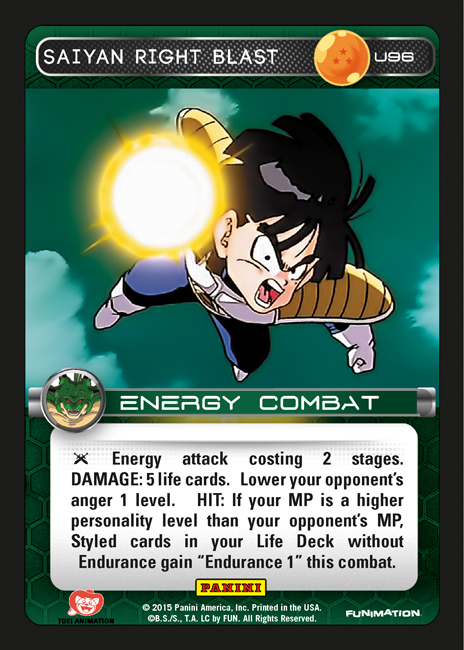 I can’t wait too test out raditz!